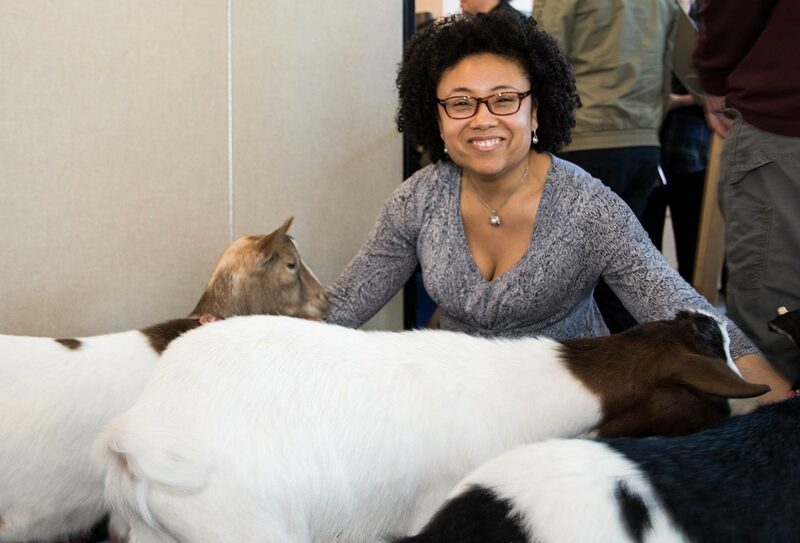 April 1 – 5, 2019 marked this year’s Graduate and Professional Students Appreciation Week, sponsored by the Office of Graduate Education (OGE). 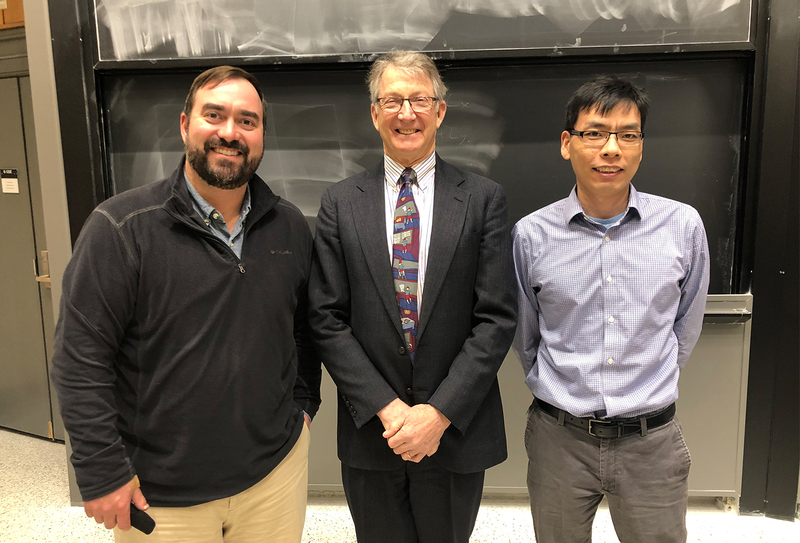 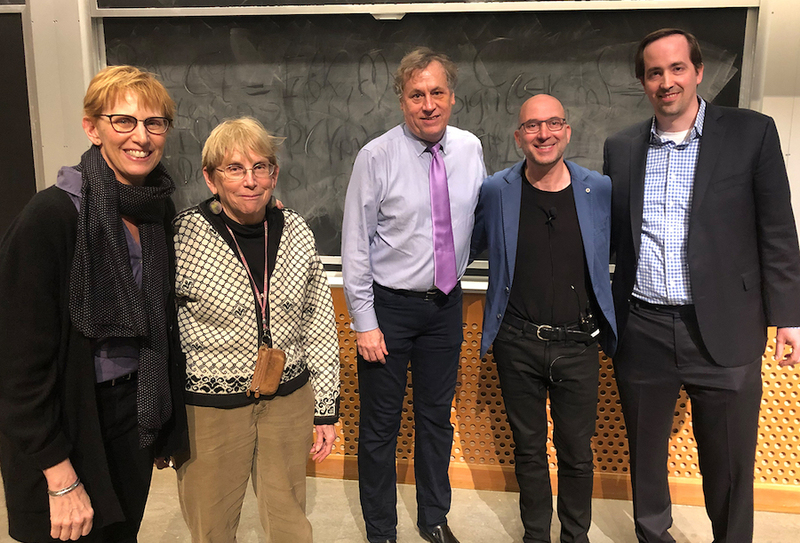 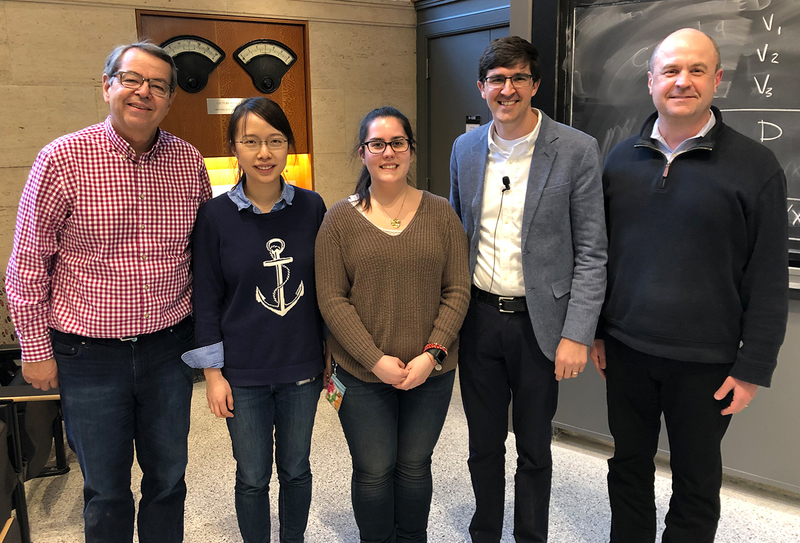 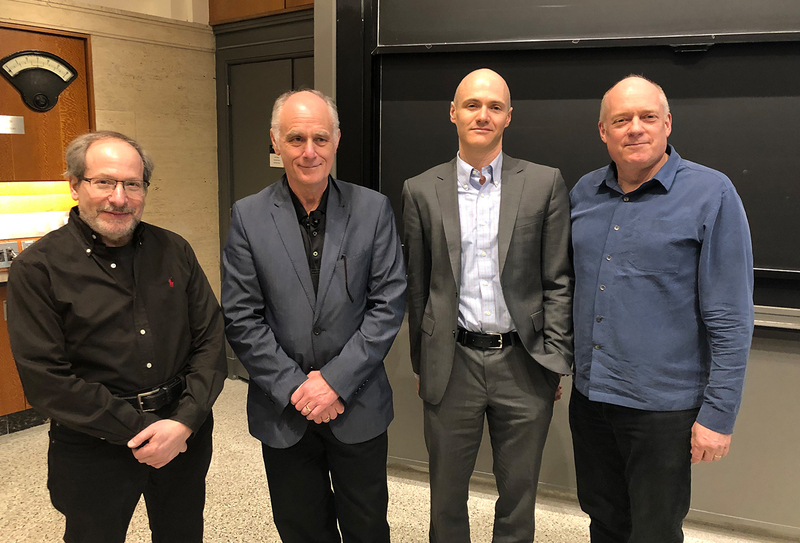 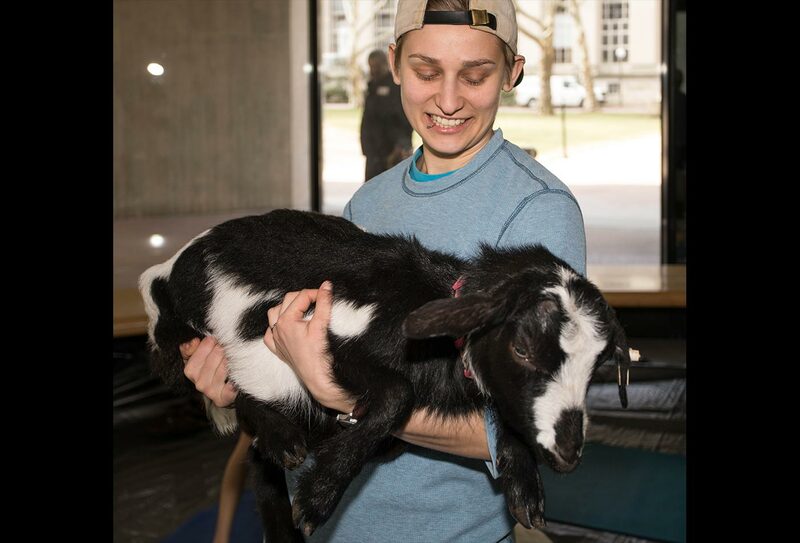 To honor MIT’s exceptional graduate student community, OGE organized a week of events that included a paint night, various workshops, coffee breaks, and two hour long sessions of goat yoga. 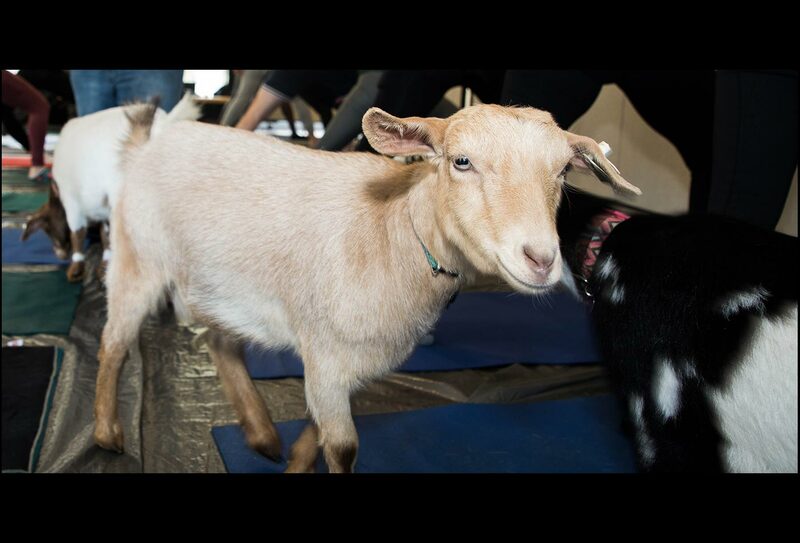 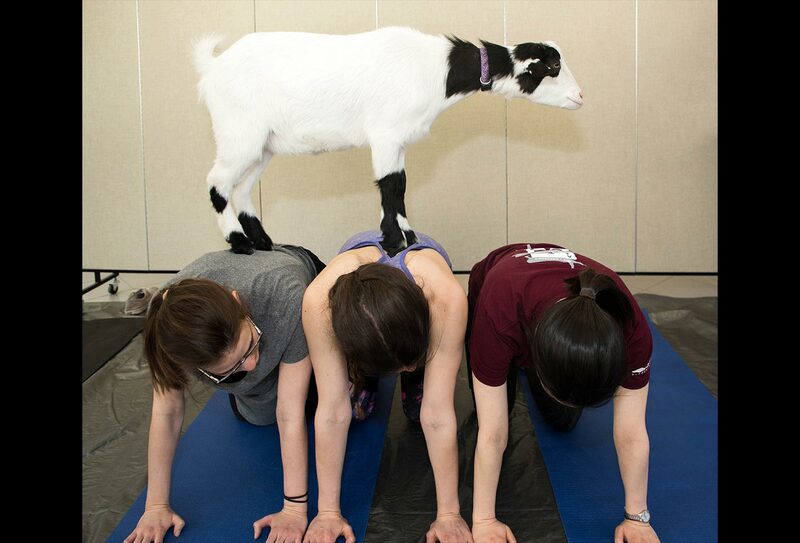 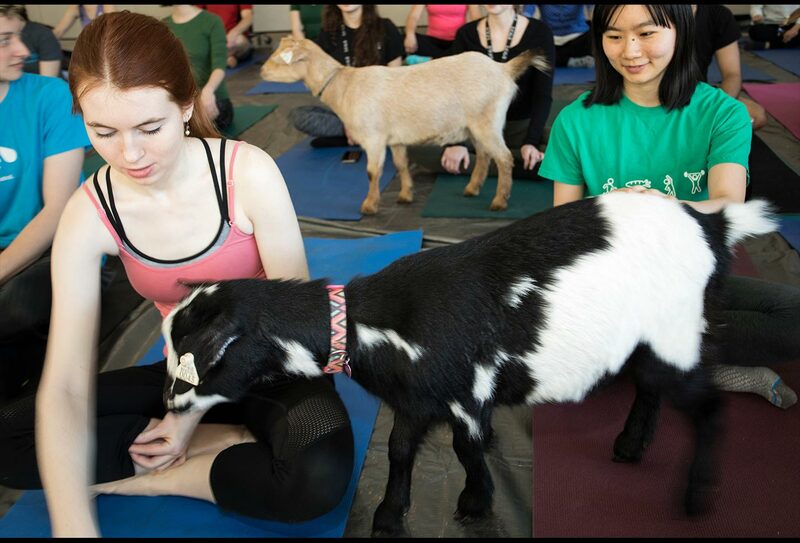 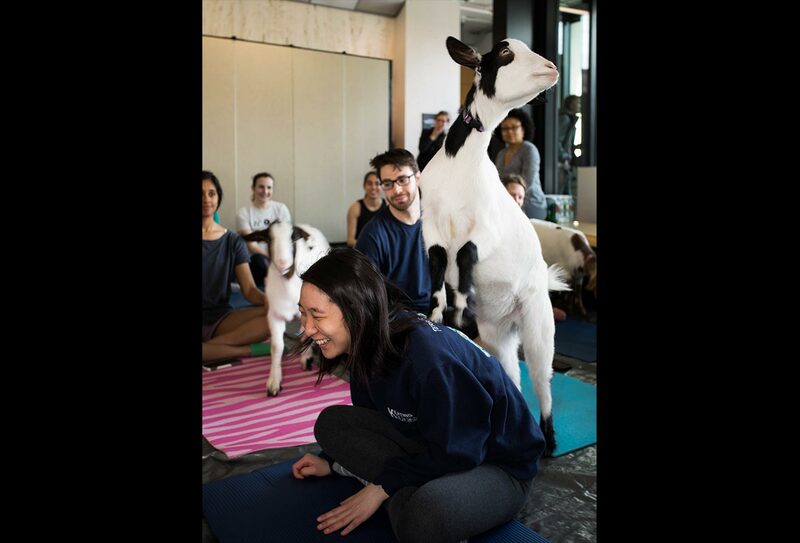 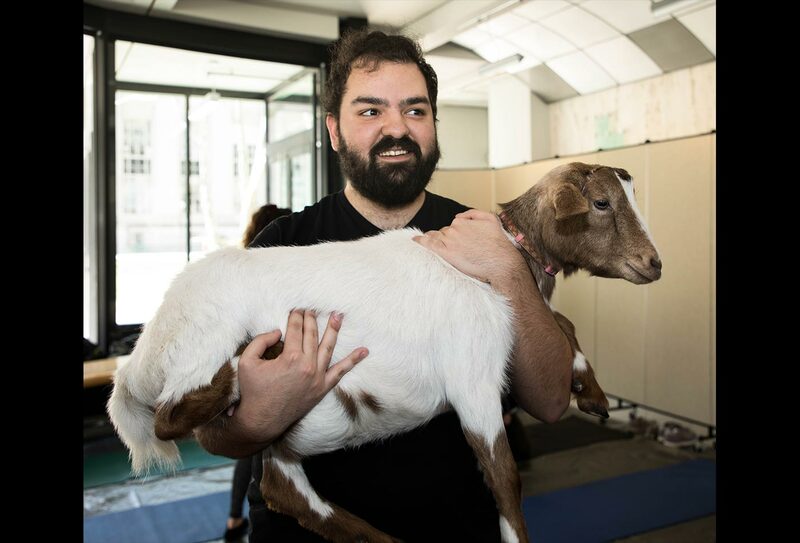 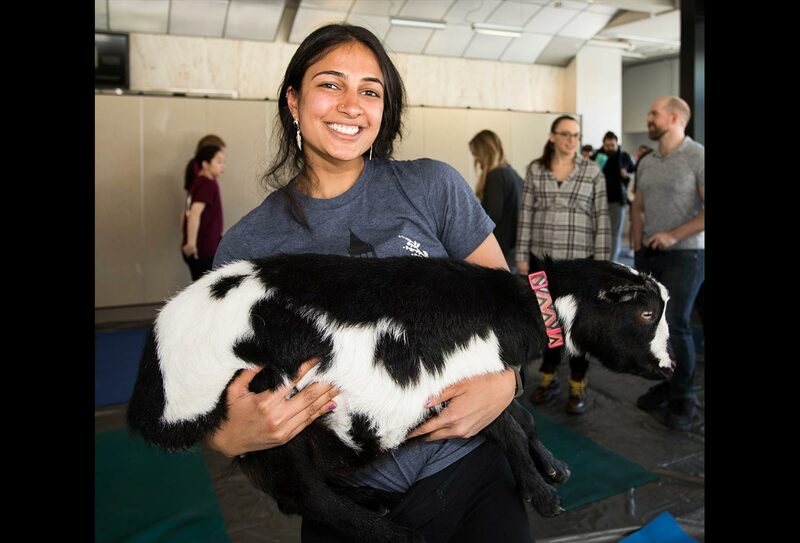 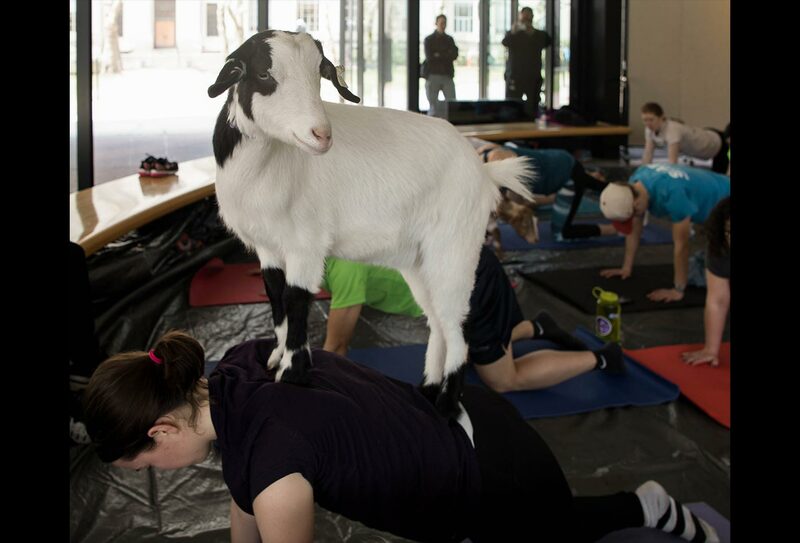 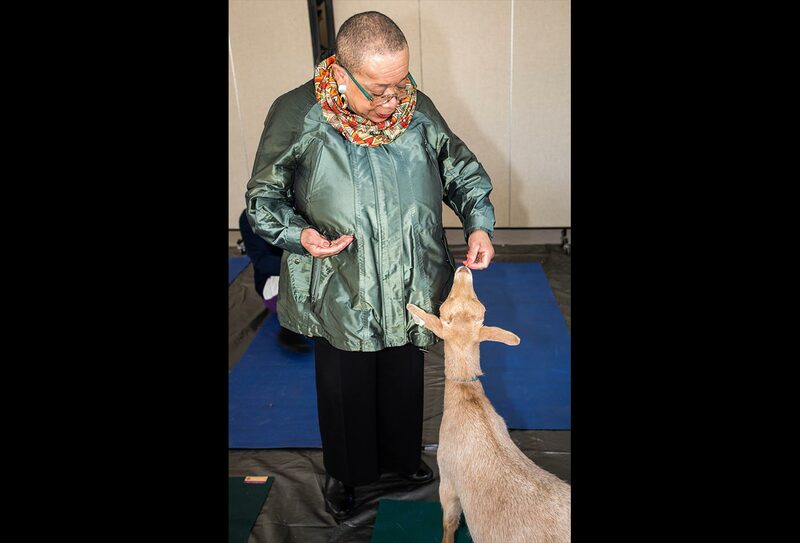 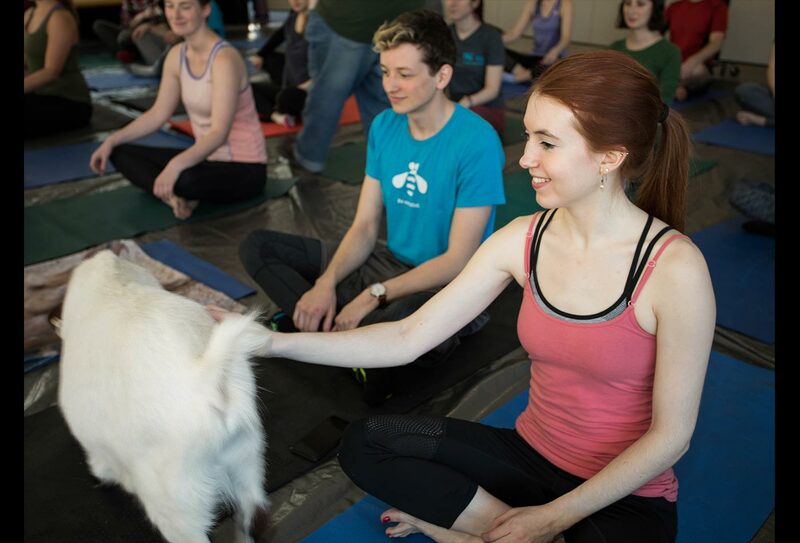 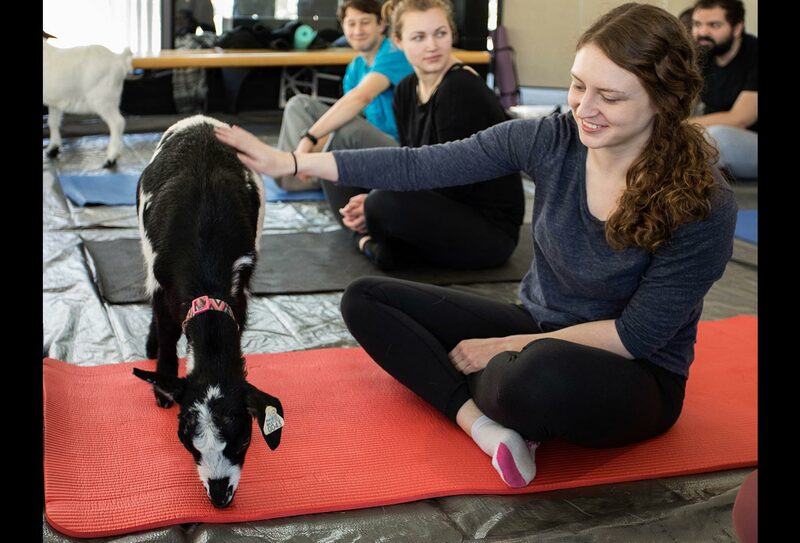 On Wednesday, April 3, the lobby of the Dreyfus Building (Building 18) was converted from its usual community space into a makeshift studio suitable for a yoga class attended by numerous graduate students and a small herd of fainting goats from Chip-In Farm in Bedford, MA. 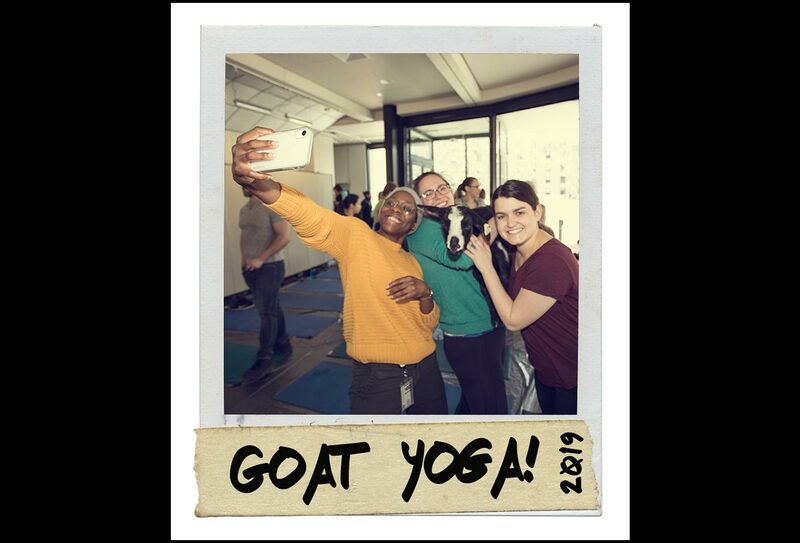 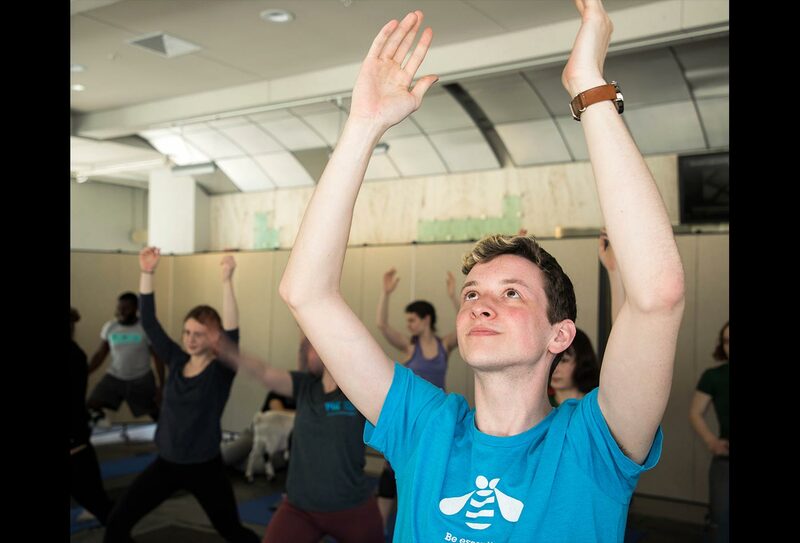 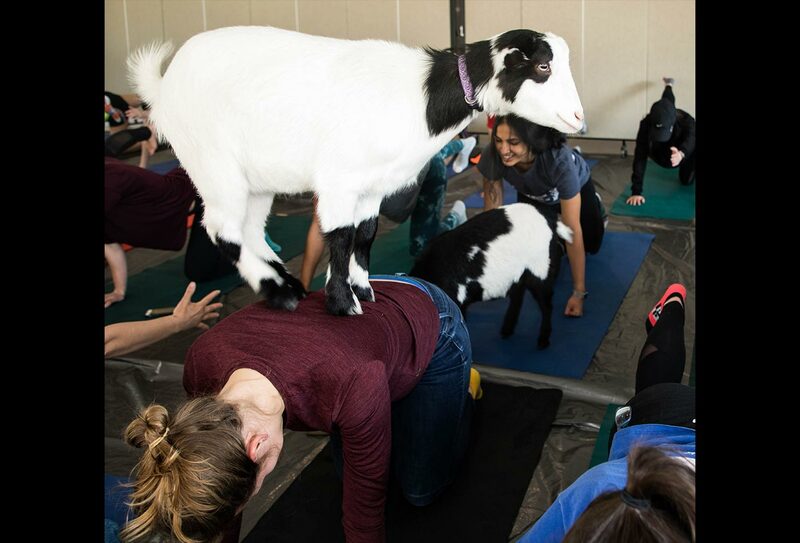 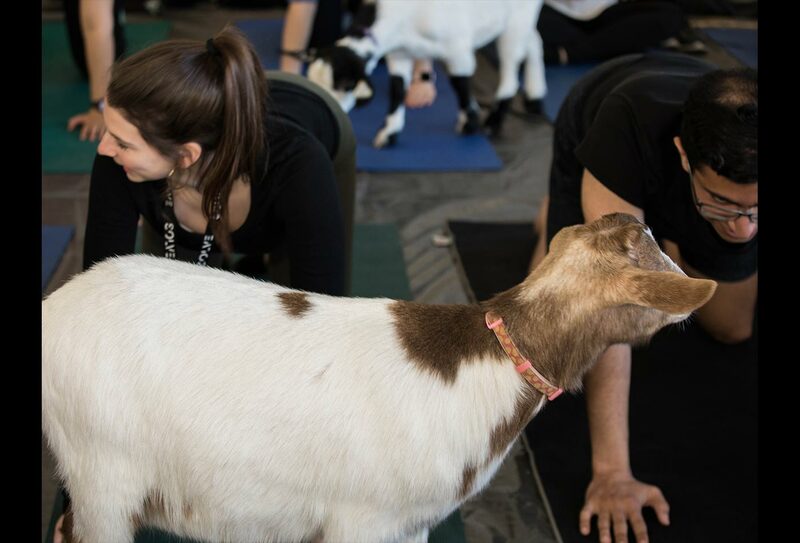 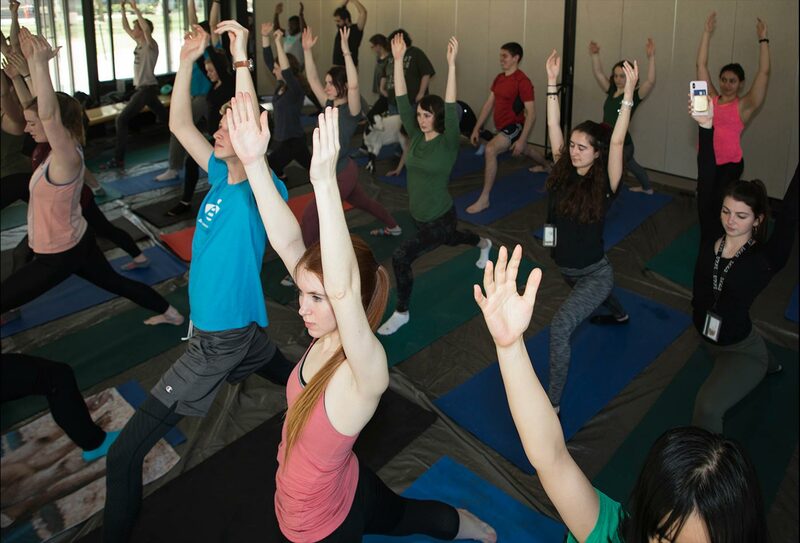 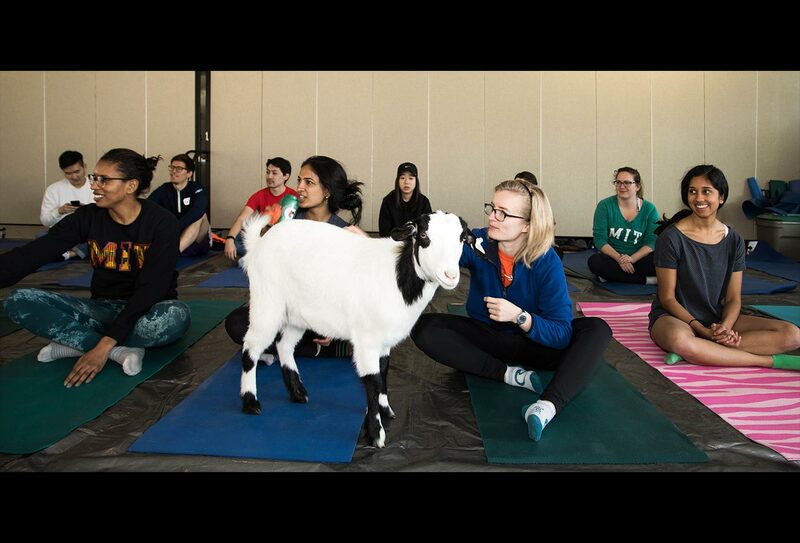 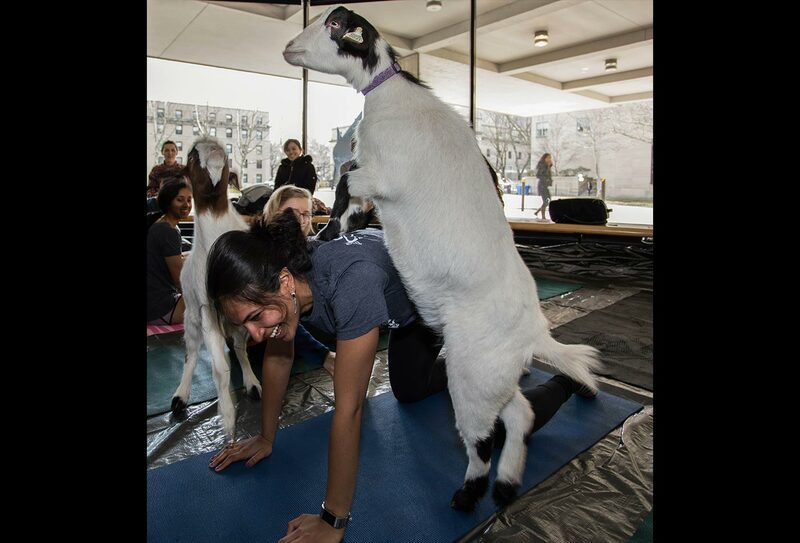 Two extremely well-attended, hour long sessions of yoga were held in the lobby, and students combined a traditional yoga class with the lighthearted addition of frolicking goats, trained to hop onto yogis during key poses. 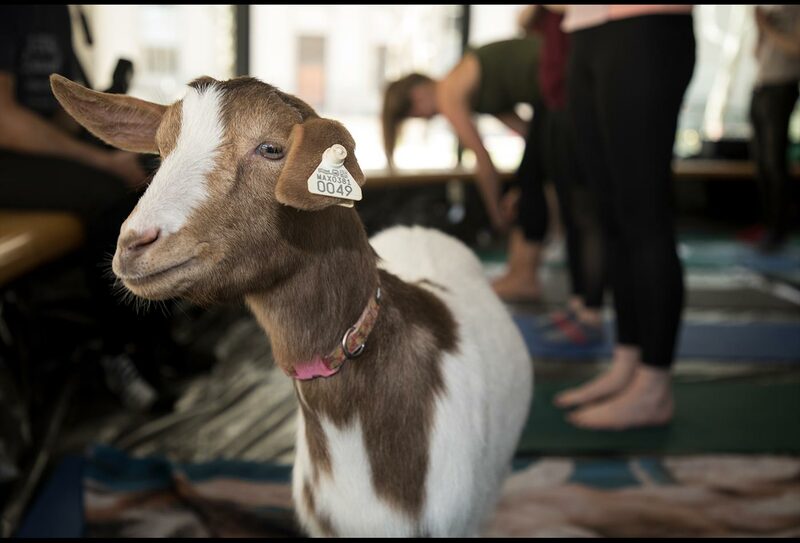 The event made for a lighthearted afternoon of yoga that was doubly beneficial – in addition to the relaxing, centering, and stress-relieving perks of yoga, it proved to be nearly impossible to refrain from smiling at the nimble, four-legged, hungry and curious additions to the class.